When I was a sleep-deprived nurse in NYC, going to the grocery store wearing pajamas and sporting greasy hair was completely socially acceptable. In Milan, I quickly learned that this is not ok. If I don’t want to get disapproving glares from fellow shoppers, I need to look at least somewhat put together. I can manage a quick change of clothes without complaining too much, but there is no way I’m taking all the time to wash my hair just so that I can go buy some tomatoes! 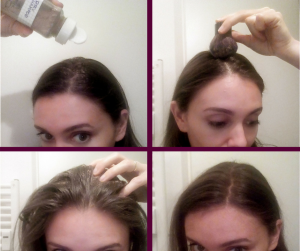 My quick solution: homemade dry shampoo. A few years ago when I decided to go no ‘poo (check out how I wash my hair here), I went through quite the typical transition phase of greasy hair in which homemade dry shampoo was my best friend. Then again, when I moved to Italy, it quickly earned its spot as one of my most loved and used homemade products once again. I know that for some, homemade dry shampoo is old news, but I have realized that here in Italy this simple fix is not well-known. And, since it is one of the homemade products that I use the most, I’d like to not only share the simple recipe, but also mention why the homemade kind is such a great product. It lets you save time since you don’t have to worry about washing, blow drying, and restyling. All store-bought dry shampoo is basically made of propellants and absorbents, while the long list of other ingredients are just for fragrance, preservation, and texture. The propellant is the gasy part that evenly spreads out the product, while the absorbent soaks up oil. You don’t need a propellant to spread out dry shampoo (as mentioned below), and the absorbent is usually aluminum starch octenylsuccinate, which not only has questionable health effects, but it also turns out to be just like corn starch, arrowroot, or any other starch, except cheaper. 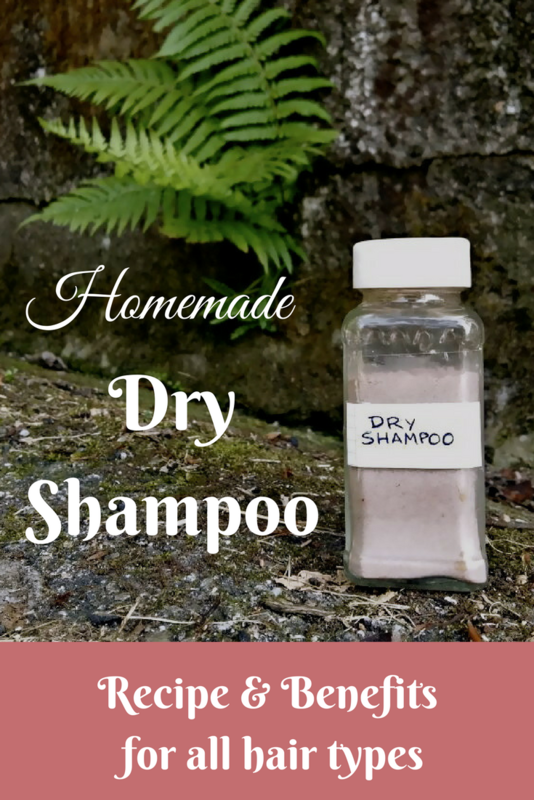 The not-so-secret is that dry shampoo can be easily made at home with healthy ingredients. What I value even more, is that making your own allows you to reduce the amount of waste you make, and reduces any potential negative health effect from applying and inhaling those sketchy ingredients. It may sound too simple to be true, but all you need is a starch powder, like corn starch, rice starch, or my personal favorite, arrowroot. If you have blonde or white hair, then that is all you need. 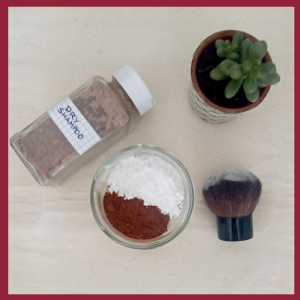 If you have dark hair and can access unsweetened cocoa powder, you can mix it in with the starch at a 1 to 1 ratio, otherwise the starch by itself will do just fine. For fragrance, you can add some essential oil drops, just remember that cocoa powder already has its own sweet scent. For best results, apply the dry shampoo before going to bed, that way it will do its absorbing and refreshing magic while you sleep. This also is particularly useful for ensuring there is no white residue left over for those with darker hair. If you need an unexpected quick fix, apply the product to roots, massage it in a little just like you would if you were washing your hair, then comb it all through. You’ll notice instant improvement. Pour a little into your hands, spread it around, and apply it onto your scalp and massage roots just like when using regular shampoo.